We believe that a plant based food culture is the key to change. Whether it is the end of suffering for the animals, making our economy sustainable or total world peace. We’re changing the way we eat, one delicious bite a time! We are organizing a mutiny in the fast food industry, by showing politicians, big corporations, NGO’s, farmers and consumers that there are new opportunities on the horizon that are nourishing to nature, animals and mankind. We believe that we can speed up this worldwide transition, by changing the way we eat, one bite at a time! Welcome to the House of Seaweed, a place where everybody prospers and everybody wins. Where we live and let live. Because our food is grown, not born. We bring the fun back in fundamentalism by serving you guilt-free pleasures. This is the new paradigm: 100% plant-based, 100% delicious. Be an agent of change and choose plants on your plate, as often as you can. For the animals. For the planet. Everyday I realise more and more how interesting the era we live in really is. An era in which all of the global dilemmas are right in front of us. When I walked the streets of New York in 2012 and Lisette, my camera and myself visited the greatest of vegan restaurants the city had to offer, I knew it was the beginning of a new paradigm. We had never eaten so well before! The plant-based kitchens served such beautiful, culinary creations, full of flavour and character, that we were blown away by the possibilities we saw ahead of us. 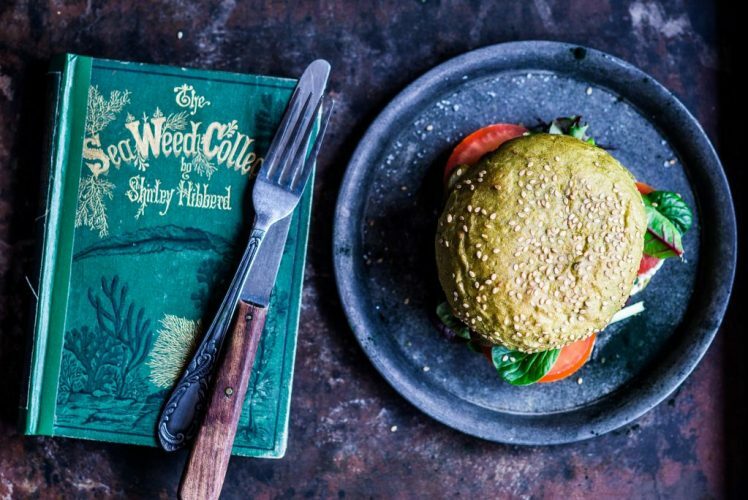 The documentary that we shot in New York, kicked off a much bigger adventure: that of The Dutch Weed Burger. Since then we have met so many people that understand our message and act accordingly to it, which is a very powerful manifestation of positivity. We believe that a plant based food culture is the key to change. Whether it is the end of suffering for the animals, making our economy sustainable or total world peace. It’s that same plate, on which we can find the solutions! The choice is yours.